KINDLY LET US KNOW YOUR PREFERRED DAY & TIME FOR AN APOINTMENT IN OUR TOKYO SHOWROOM. VISIT SHOW and ORDER! Discover emerging and established brands. a.saught', forte of good color balance which takes vivid as chic, and contemporary forming. Popular for design not strange but positively claimimg. Lace and tulle are highly reputation. Particular to texture & solid details, also design of mixed materials. All processing by Japanese-made, adopting delicate embroideries by high skilled craftsman. We are using the special materials that are made in traditional production area for fabric in Japan. we have own techniques for tailoring of silk by prototype experiments. The original denim items are one of the most famous products. 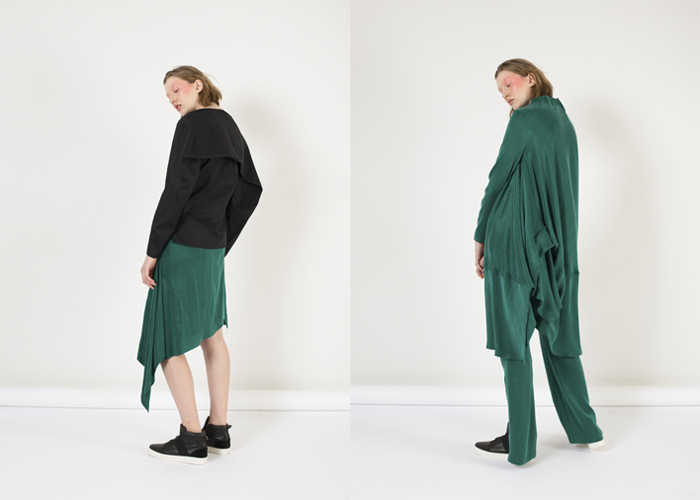 Baiba Ladiga is constantly looking for new shapes, materials and construction methods, very often draped, minimalistic. Her garments and accessories are a perfect match for busy travelers or simply active life lovers, thanks to functionality. Her idea is: fashion should follow our needs and not the opposite. Deconstruction plays a big role in Baiba Ladiga design as well. 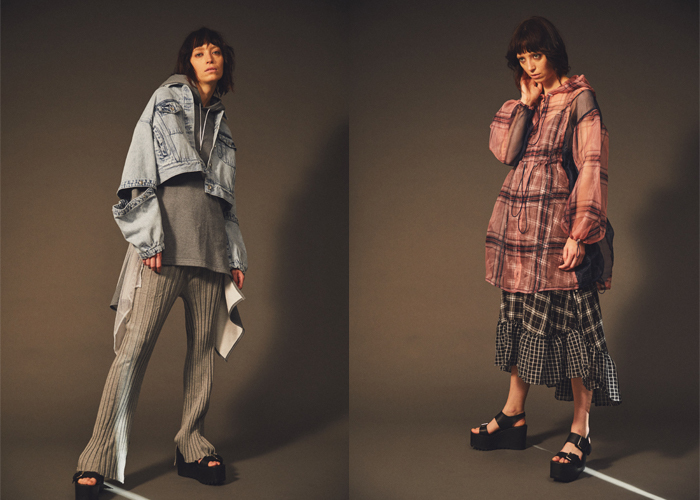 Brand emphasizes the importance of sustainability in her design process and aims to create garments that are friendly for both nature and a human body. 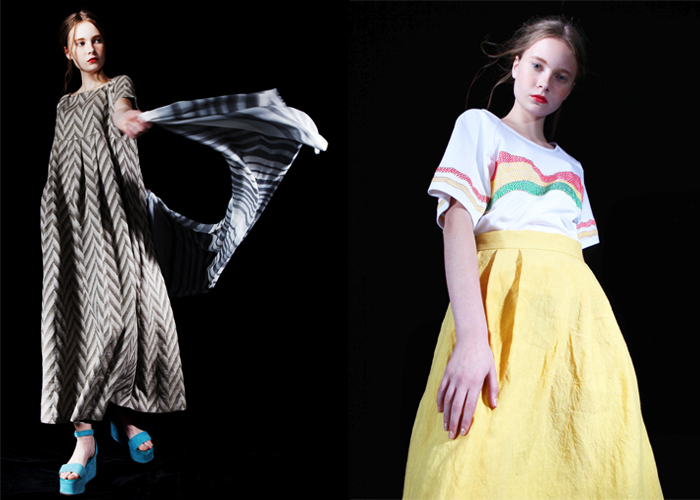 The designer pays extra attention to the quality of the material and follows the principles of zero–waste fashion. BURBUR by BlindArt is a slow design brand that engages sightless and visually impaired people in the production of fashion and interior accessories thus creating real added value in each product. BURBUR fashion collection includes totally different tote bags, design bags, original sleeping masks and other innovative artefacts. Made by hand, each product is a complex and meticulous masterpiece whereby plain fabric is transformed into a spectacular 3D texture that simply has to be seen and touched! These original textures induce associative stories about the existence of a variety of different surfaces while generating futuristic sensibilities with “WOW” effect. In terms of design and development it is a major challenge, making BURBUR designs the supreme examples of fashion whilst retaining the practical elements. BURBUR products will highlight the personality of its bearer who stands for quality, novelty and social responsibility. ‘Collar’ is a swimwear and lingerie label that believes in the beauty of unconventionality and strives to dress the personality not a body type, encouraging women to love their skin, their being and the tiny imperfections fully and honestly. In a time when the female body is hyper–sexualized, the label wishes to bring back the covert, concealed intimacy. 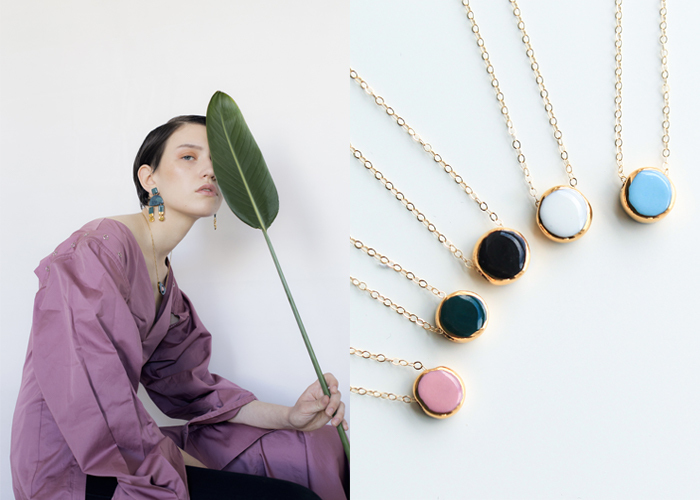 Rozenthal Jewelry was launched in 2016 by Latvian ceramic designer, create and owner Madara Rozentale. Each porcelain jewelry s made in Author's technique. Marble pattern and hand-painted precious metal coating makes every piece unique and unrepeatable. Inspiration for Rozenthal Jewlry collections come from shapes and colors found in nature and architecture. Jewelry is simple, pure, lightweight and enjoyable. 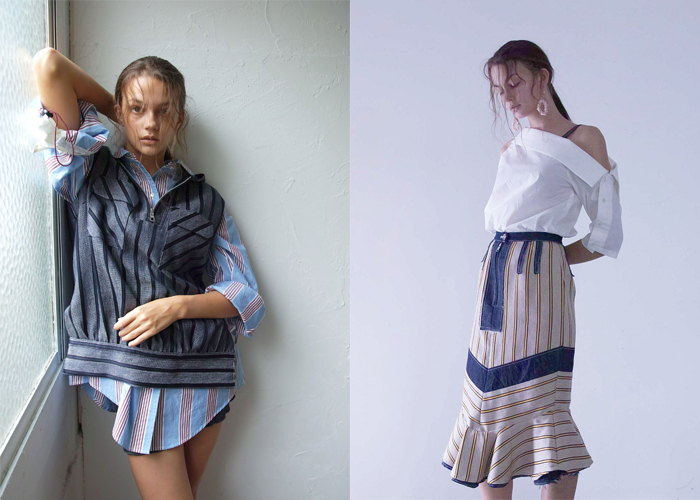 TOOCHE brand was founded in 2015 by Latvian designer Michelle Shehurina and her husband Yuris Svans. The idea to create the brand came because of the need in unique and beautiful footwear that at the same time would be comfortable and functional. That is why merino wool felt was chosen as a primary material for the shoe line. A distinctive feature of this type of wool is in its ability to maintain a comfortable temperature for the feet from -25 till +25 C degrees. Besides that wool is extremely light and soft, so it adjusts to your feet shape. The center part of brand’s philosophy is the concept of sustainability, which is reflected in the choice of materials. Thus, besides wool felt TOOCHE brand was among the first brands who created a shoe collection made of Pinatex, a new sustainable material produced from pineapple leaves fibre. TOOCHE shoes and bags are sold all over the world in both online stores and physical concept stores. This collection was created when Erika first stubled upon a bag of the old leather cuts. Her imagination ran wild creating unique, colorful patterns, but more importantly she realized how much waste is produced I fashion business and how much potential for creation is not explores. Each bag in this collection is unique truly one of a kind, hand woven from the leftovers of other garments. This collection insists on luxurious compromising on the look. created piece has a different inscription that is like a peculiar “code”　in the never-ending stream of messages to the humanity. 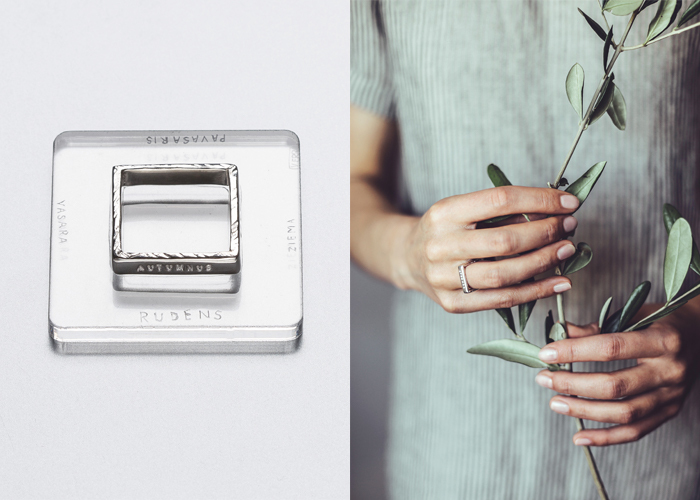 Ring collection SAKURA , that was made specially for　exhibition AMBIANCE 2019 includes not only inscriptions in Latin and Ancient Greek languages, which are traditional for brand, but　also in Japanese. Aesthetics of VERBA is based on transparency, ascetics and simplicity. Rock crystals, topazes and rose quartzes that are used in collection. SAKURA are loved and trusted by brand since its beginnings. moi-meme' is made taking advantage of her long career as the high quality brand, used world's best yarn from Japan & Italy, by Japanese splendid technique. It is basic & cute with beautiful colors. 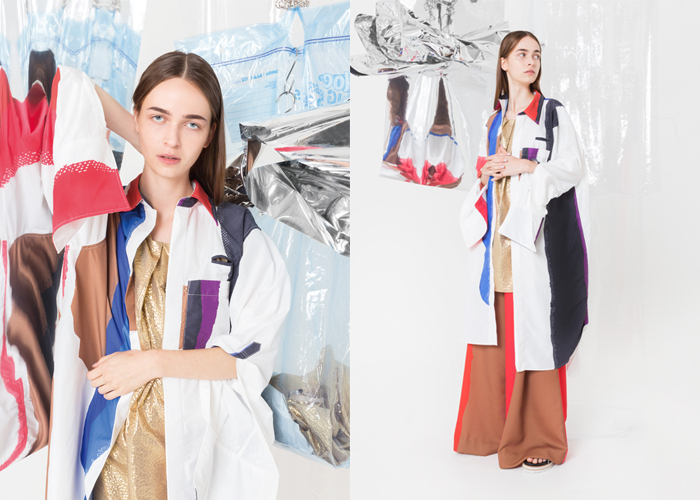 tactor is an apparerl label launched in Tokyo, 2017. One of the brand's strength is the print texhnique and mixture of textiles. Oversized shilette is also one of tactor's strong characteristics to create strong,yet personal style for mature lfestyle. Worked at the Hiroko Koshino Design Office for about 8 years as a designer. Express a combination of elements from the past and present with “ageless” and “statelessness”. We will restructure through the filter to the inspiration I got from the journey.Developed a shuttle fabric of Japan and cashmere knit of Inner Mongolia. 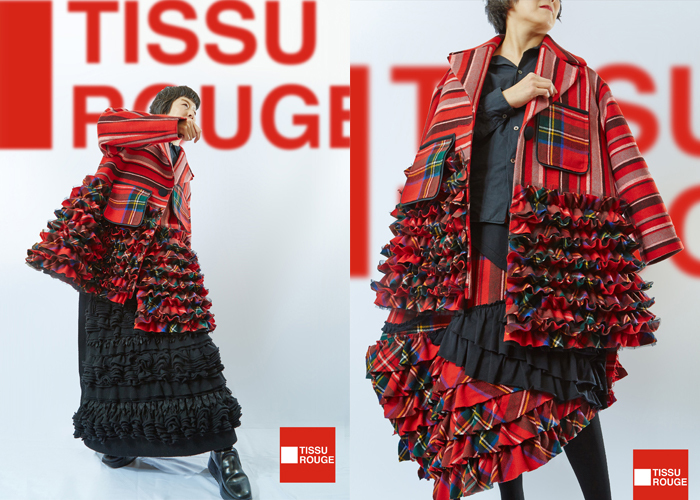 TISSU ROUGE = French "red cloth" means brand is a brand that pushed individuality to the front not to follow the trend. Our theme is "Graphical & Layered".